Trust browsing to be easy via this Zodiac Cafe Christmas at Neiman Marcus. 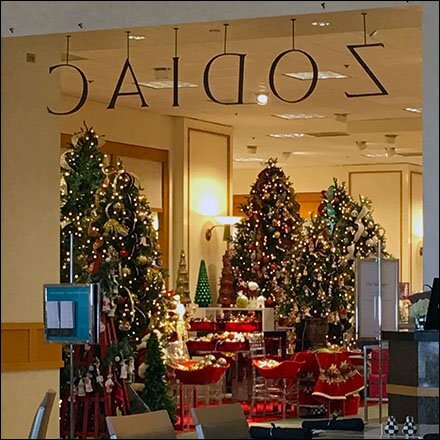 Always a fan of the Neiman Marcus Cafe at Short Hills, New Jersey, see FixturesCloseUp to provide a parallel review of the Zodiac sister cafe at The King of Prussia Mall, Pennsylvania. Though we elected quiet, private seating, there was still a glorious view of the Christmas Department to tempt us after dining. Consider various views in the Zodiac Cafe Christmas at Neiman Marcus gallery of images.